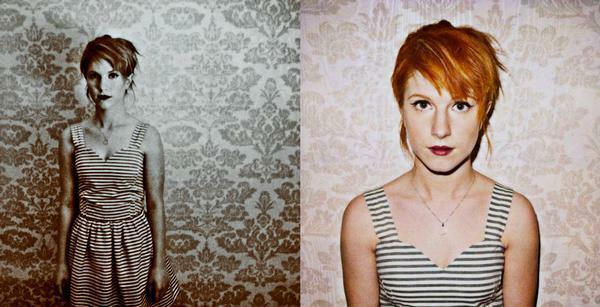 New Hayley Photo. . Wallpaper and background images in the Brand New Eyes club tagged: paramore hayley williams. This Brand New Eyes photo contains bustier, cocktail dress, sheath, attractiveness, appeal, and hotness. There might also be chemise, shimmy, shift, slip, teddy, tights, leotards, dress, and frock.